Citizens from Kenya can get information on government funding for development projects by sending a text message to Infonet's budget tracking platform. The questions provide data to help build a picture of which government funds are most under scrutiny in different areas. People can also leave comments on each project to verify, contest, add information, or connect with a local social development group who can help them query the allocation and use of public funds. An introduction to basic campaigning how-tos. This content is based on material from our previous guides, and 10 Tactics. Strategies and practical tips on creating effective digital advocacy campaigns. How to transform your content into rich and detailed stories. How to react immediately and effectively to an event happening in the present. How to use the power of shared knowledge and community participation. How to harness mobile phone technology to innovate and reach out to a wider audience. There are many online services that can convert webpages to PDF files. These may be of use for printing or archiving internet pages. A mashup or video remix is created by taking multiple sources of video, audio or stills and mixing them up. ObscuraCam is an Android application that allows you to obscure faces or objects in photos or videos to keep certain information private. HTTPS Everywhere is an add-on for Chrome or Firefox. TOR is a network tool that allows you to improve your privacy and security on the internet. K9 is a stable and popular email client for Android mobile devices. Bambuser is a live video service that allows you to capture, upload and store video from a mobile phone or webcam. 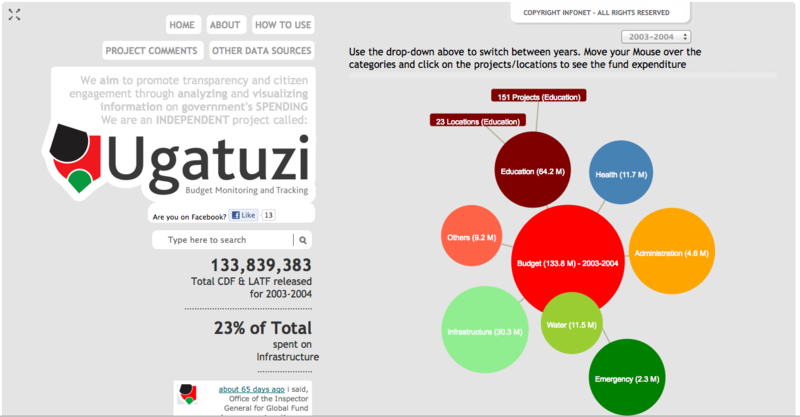 Ushahidi is a highly flexible platform for information collection, visualisation and interactive mapping. FrontlineSMS allows you to send and receive text messages over a mobile network. Etherpad is an online word processor with formatting options. ZXing (pronounced 'zebra crossing') is an open source barcode image tool. Booktype is an open source platform for writing and publishing print and digital books. Scribus is a page layout program. It can be compared to Microsoft Publisher or Adobe InDesign. LibreOffice Writer is a word processing and desktop publishing tool. ProjectLibre is a project management tool similar to Microsoft Project. Thunderbird is a popular free software email client from the Mozilla foundation. Customer relationship management (CRM) is a way of tracking a company’s interactions with customers and clients. Skype is the most popular service around for voice calls over the internet. You can also use live text chat and send files. Crabgrass is an online tool which enables group collaboration. Cloud computing, where data and services are stored online instead of on your local computer, offers a lot of advantages. Status.net is an internet-based piece of software for microblogging, and is an alternative to Twitter. Brdcst.it & ifttt are two online services that provide essentially the same thing. Drupal is a content management system (CMS) which can be compared to WordPress. WordPress is a tool used to create websites and blogs. Screencasting software lets you record what is happening on the screen of your computer as a video file. Because of some of the challenges of editing video on the desktop, it may be a good idea to try an online video editor. Most video editors are similar in design. HandBrake was created to convert DVD discs into smaller video files suitable for viewing and sharing on the Internet. DVDStyler is a cross-platform, free DVD authoring application. Amara is a free online subtitling service. Flickr is a popular photo sharing site and one of the largest online image repositories. Pixlr is one of many online browser-based photo and image manipulation services. It stands out as the fastest and most flexible. Synfig Studio creates 2D animation. Inkscape is an open source vector graphics editing application, with capabilities similar to Illustrator and CorelDraw. XMind is software for mind mapping. GIMP (GNU Image Manipulation Program) can do just about everything that Adobe Photoshop can do, and it's free for anyone to use. WordPress is a system for creating websites and blogs. Making a CD with audio files can involve two kinds of CDs. One type is a data CD, which is suitable for reading on other computers. SoundCloud is an internet service that allows you to listen to and share audio files. Airtime allows you to schedule audio files in a calendar timeline. Audacity is an 'audio editor'. Info-activism examples from around the world. Egyptians remixed images of President Mubarak into popular film posters. The images spread quickly on the internet. Tunisian bloggers collaborated on a mapping project that revealed the presidential plane was being used for extensive personal travel. Digital Stories for Transformation documents stories rarely told, and rarely heard. Artists and advocates from Egypt created a short animated video based on traditional Arabic stories re-told from a feminist perspective.